The APS Mentor Award recognizes psychology researchers and educators who have made an extraordinary effort to shape the future of the discipline by influencing the career paths of the next generation of scientists. Three psychological scientists have been selected to receive the 2018 APS Mentor Award. Beyond their personal contributions to our understanding of memory, emotion, and learning, these educators’ unique commitments to their students will continue to shape the field of psychological science for decades to come. 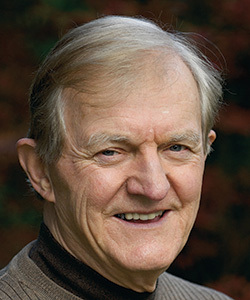 During a seminar at Stanford University, APS Past President Gordon Bower “began asking extraordinarily insightful and blunt questions,” recalls APS Fellow Stephen M. Kosslyn, Founding Dean and Chief Academic Officer of the School of Arts and Sciences, Minerva Schools at Keck Graduate Institute. “He was very quick on the uptake, very confident, and unusually assertive. At one point he interrupted the speaker … [but] another student came to the rescue, with a trenchant rejoinder to Gordon’s broadside. In fact, before Gordon was completely finished, the other grad student cut him off, and explained that there was another finding he was ignoring. Gordon listened carefully, head cocked to one side, nodded,” and agreed with the student’s remarks. Many of Bower’s former students and collaborators note these two complimentary traits in their letters of support nominating him for the APS Mentor Award: He is challenging yet supportive, demanding yet understanding, candid yet caring. He possesses that rare mix of qualities that has endeared him to so many of his mentees, including several who did not officially work in his lab but whom he nevertheless took under his wing. Professional advancement is not the only area in which Bower, Albert Ray Lang Professor of Psychology Emeritus at Stanford University, has been generous. He is mindful of his students’ personal needs as well. Former student and APS Fellow Elizabeth Marsh, professor and associate chair of the Department of Psychology and Neuroscience at Duke University, recalls being nervous when Bower called her to his office one day. She relaxed once she realized the meeting was not about her research. Others expressed similar sentiments: Bower can be strict, but he never makes it personal. Through his critiques, he aims to help his students “tear the weak [ideas] to shreds in the search for a gem,” APS Fellow Lawrence W. Barsalou, University of Glasgow, explains. When they find that gem, Bower does all he can to help them polish and subsequently present it. Several letter writers emphasized how much it meant to them to have Bower attend their Psychonomic Society talks. 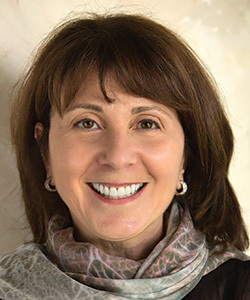 APS Past Board Member Lisa Feldman Barrett is a standard-bearer in the field of emotion research: She has altered the understanding of our inner lives to reveal that emotional expressions are varied within ourselves and between cultures. She has discovered that emotions do not “live” in certain brain structures (e.g., that fear is housed in the amygdala) and explored the neuroscience basis of emotions. Her book, How Emotions Are Made: The Secret Life of the Brain, has been described as brilliant, mind-blowing, and a delight to read by several experts in the field. Currently, Barrett is a University Distinguished Professor of Psychology at Northeastern University. She has research appointments at Harvard Medical School and Massachusetts General Hospital in Psychiatry and Radiology. Eighteen of Barrett’s mentees have gone on to direct their own labs. Those she has mentored have won awards and honors that include the APS Janet Taylor Spence Award for Early Career Contributions, the Marie Curie International Outgoing Fellowship, the National Institutes of Health National Research Service Award, and the National Science Foundation CAREER Award. Many of Barrett’s mentees appreciate her insistence on robust critical thinking. She is known for giving direct feedback in a way that spurs her mentees to action. “Lisa has created a scientific environment that is built on the idea of team research nested within a supportive community where all members are encouraged to take intellectual risks, aim higher, and learn from failure,” says Morenikeji Adebayo, who was a junior research fellow with Barrett in the psychiatric neuroimaging program at Massachusetts General Hospital. Barrett’s mentoring also extends outside of the classroom and laboratory: She teaches her mentees about the skills that help advance a scientist’s career and works to remove barriers for underrepresented students in psychology. As a mentor, Barrett also cultivates well-roundedness and writing skills that will help students and colleagues chase their passions. Maria Gendron, a former doctoral student and current postdoctoral fellow in Barrett’s lab, says: “She emphasizes grantsmanship, mentoring, and writing skills in her students so that they are not only prepared as intellectuals, but also as well-rounded scientists. Lisa is also incredibly generous with her students — consistently providing new opportunities for them to develop their own interests and strengths.” Gendron will join the department of psychology at Yale University in the fall as an assistant professor. Barrett also supports her mentees as they navigate the sometimes perilous path of scientific innovation. Science can sometimes feel like “a fight against ignorance and self-doubt,” writes Kurt Gray, who was mentored by Barrett as a graduate student and young academic and who is associate professor at the University of North Carolina at Chapel Hill. “More than anyone I know,” he says, Lisa fights “for truth, combining sharp intellectual honesty with deep compassion for her students. She is a leader who stands right next to her mentees during the firefight, and who would willingly take a bullet for those in her care.” Through her guidance and support, Barrett encourages young scientists to follow their own scientific paths rather than following in the footsteps of others. APS Fellow Harry P. Bahrick, now an emeritus professor of psychology at Ohio Wesleyan University (OWU), began his career at that institution in 1949. His undergraduate mentees have gone on to contribute to some 2,300 scholarly works that have been cited more than 85,000 times — the equivalent of nearly four citations every day since his first lab alumnus earned his PhD in 1955. Bahrick’s memory lab offered undergraduate students an opportunity to contribute to cutting-edge research on long-term memory in real-world situations — such as recalling the names and faces of high school classmates, foreign languages, and mathematics — when many in the field were still focused on how subjects memorized lists of words in a laboratory setting. “Throughout his lifetime he’s drawn talented people into the field and prepared them to succeed in graduate school and beyond. I couldn’t have asked for a better mentor,” wrote APS Fellow Robert Kail, a Distinguished Professor of Psychological Science at Purdue University. Bahrick treated his students as far more than just “some inexpensive help to conduct studies,” added APS Fellow John Dunlosky, a professor of psychology at Kent State University. As a freshman in the late 1980s, Dunlosky thought he was out of options: Despite a 4.0 GPA, he could no longer afford to attend OWU. 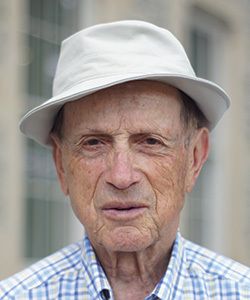 Bahrick’s approach to psychological science has also been unique in that, while many of the nation’s leading experimental psychologists have chosen to pursue their interests at large research universities, he has remained at OWU throughout his career, wrote APS Fellow Ruth Maki, now a professor emeritus of psychology at Texas Tech University. Over time, Bahrick’s commitment to both undergraduate education and his role as a “psychologist scientist evangelist” influenced the choice of students from chemical engineering, education, foreign language, and history backgrounds to pursue careers in experimental psychology. More than 60 OWU memory lab alumni have gone on to earn PhDs — a postdoctoral rate of nearly four out of five students — with many directly crediting Bahrick for their later success in the field, wrote Cara L. Wellman, director of the Center for the Integrative Study of Animal Behavior at Indiana University Bloomington. This personal touch was typical of Bahrick as a mentor. Not only did he push his students to strive for publication and to present posters at APS conventions, less common benchmarks for psychology undergraduates at the time, but he personally recruited students like Tamara Daily, now a professor of psychology, neuroscience, and human development at the University of Mount Union, to study at OWU. Through her classes and time as a research assistant at the memory lab, Daily quickly realized that, if she were to become a professor, she wanted to be one like Bahrick. “Harry taught me that research and teaching are inseparable and that science should be less about the scientist and more about ensuring that discoveries will continue to be made long after any given scientist is gone,” wrote Daily. Furthermore, she explained, Bahrick took his mentees seriously as researchers. Lab meetings weren’t about assigning marching orders or busy work — students were expected to keep lab notes, meet deadlines and, most of all, have their own opinions.